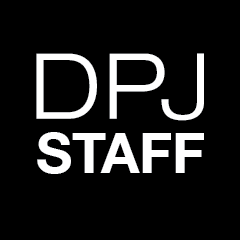 Monday marked the return of ASU students to the Downtown campus, and since then Taylor Place has been a flurry of activity in anticipation for the first day of class. 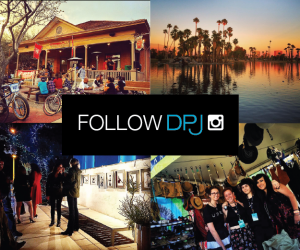 Downtown now has 1,200 new residents, so let’s show them around! 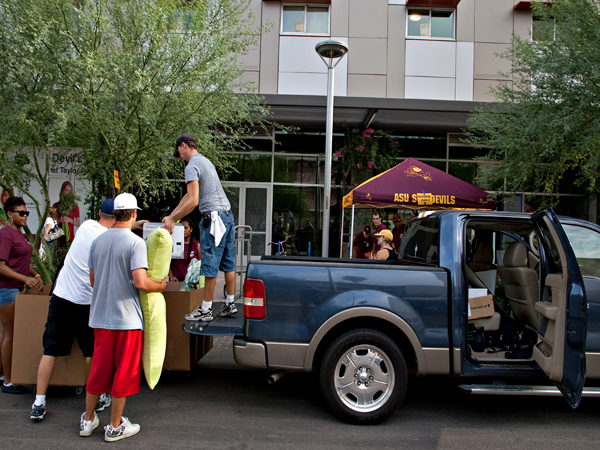 Sun Devils: Do you have move-in pictures to share? 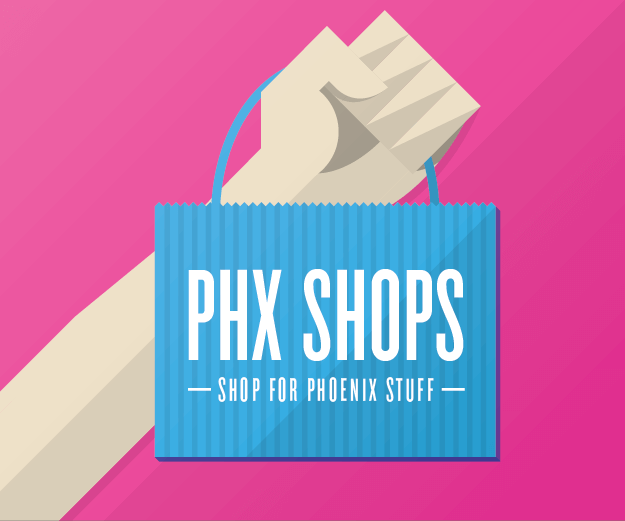 Email us and we’ll post them here! 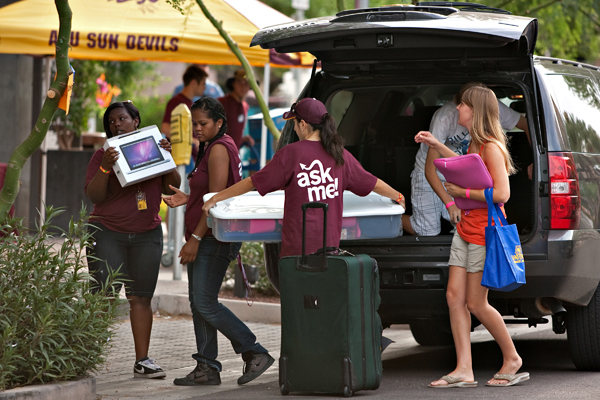 Assisted by the move-in crew at the Downtown Phoenix Campus, Erin Kennedy, red top, and her family have their SUV unloaded. Kennedy will be studying journalism at the Cronkite School. Photo courtesy of ASU. 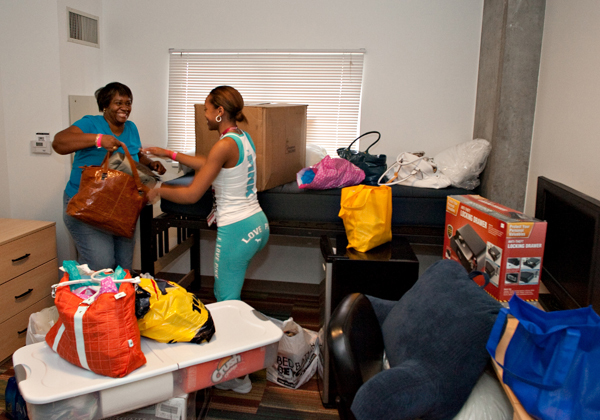 Shayla Brown and her mother, Yolanda Brown, unpack in Taylor Place on the Downtown Phoenix Campus of Arizona State University. The Browns are from Tucson and Shayla will be studying nursing. Photo courtesy of ASU. Andy Young, red shorts, helps unload his girlfriend's possessions from his truck. 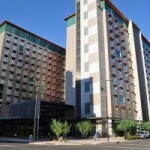 The young lady, Kylee Terhark, was moving into Taylor Place on the Downtown Phoenix Campus and will be studying journalism at the Cronkite School. Photo courtesy of ASU.